Korea's Royal Costume will be incarnated by Hye-soon Kim, Korea's one of the top traditional costume designers and a master of Court Costume along with traditional dance performance by the National Company for Traditional Dance in Great Hall. Bok-ryeo Han, Korea's "human treasure" and a successor of Court Cuisine, will present King's Cuisines for a dinner at Temple of Dendur with a special demonstration. 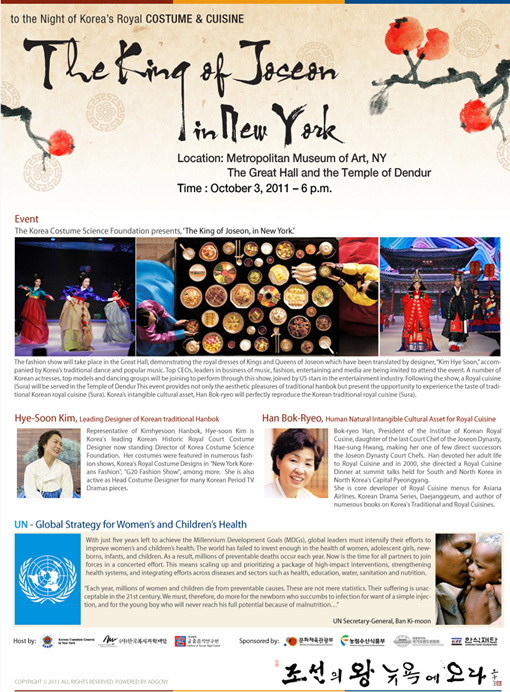 "The King of Joseon in New York" is being held in support and awareness of UN's Global Strategy for Women's & Children's Health. 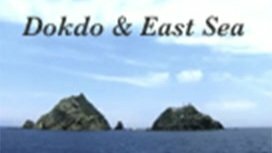 The event is honored by H.E. and Mr. Ban-Ki Moon.